I have trodden the wine-press alone … for I will tread them in mine anger, and trample them in my fury and their blood shall be sprinkled upon my garments and I will stain all my raiment. The word fresh is in quotation marks above because the freshness of the Fathers is relative to the reader. They themselves are not fresh, for they have mostly been around for 1500 years of more. But to many of us, their ideas can be a breath of fresh air. To answer this, I think I’ll use a different approach, one that will hopefully highlight those other reasons to read the Fathers — their awesomeness and relevance. I’ll talk about myself (something bloggers like to do). My very, very first encounter with patristic exegesis was, thankfully, not the beautiful, lyrical, typological poems of St. Ephraim the Syrian. If it had been, I would have been left very puzzled and very nonplussed. No, it was with level-headed, ‘down-to-earth’, ‘Antiochene’ St. John Chrysostom. I knew of the efforts of the Ancient Christian Commentary on Scripture, and I wished to make use of such things those few moments when people foolishly gave their pulpits to me. I also knew of the Christian Classics Ethereal Library and its digital version of the Ante-Nicene Fathers (ANF) & Nicene and Post-Nicene Fathers (NPNF). Not overfond of reading lengthy text online, especially if Victorian, I got my hands on St. John Chrysostom from NPNF and used him in preparing for homilies. What I found was not merely attention to detail or the exegesis of the passage in terms of what it meant in its original, historical context. Chrysostom looked at the passage and exegeted it to bring its full weight to bear upon his congregation. He drew forth from the words of Holy Writ spiritual and ethical lessons for his congregation. He called them to lead holy lives. When Chrysostom talks of St. Paul’s conversion, he also calls his congregation to read their Bibles for themselves. Commenting upon Philippians, he berates fathers who are angry about their sons taking up the religious life — if they are Christians, how is this a bad choice? Better than the pitfalls at the imperial court with its many opportunities for sin and worldliness! Then he says that one could be a light in the darkness at the imperial court, and it’s not a place Christians should avoid. The Scriptures for Chrysostom and many, if not all, of the Fathers are alive. They speak here and now. They call us to holiness. They call us to contemplation (theoria) of God. * They drive us to worship. They are not objects of study — rather, they turn us into the objects of study. Patristic exegesis was not scary but exciting and invigorating with Chrysostom. If you are cautious about patristic exegesis, start with St. John Chrysostom. If you are curious about things less familiar, less like a Sunday-morning evangelical sermon, curious about things that will take you into the land of mystical union with the Divine and the world of the luminous eye (to cite the title of a book by Sebastian Brock), check out my second major helping of Patristic exegesis: St. Gregory of Nyssa’s The Life of Moses. The Life of Moses starts out with Chrysostom’s familiar territory — ad litteram — the literal, historical meaning of the text. 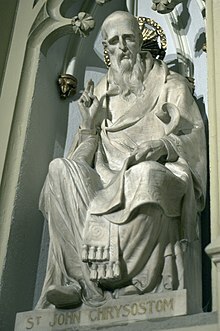 St. Gregory (Saint of the Week here) tells us the life of Moses as found in the Pentateuch. There are lessons to be found here about life, ethics, and God. Even that (in)famous allegorist Origen believes in the power and importance of the literal meaning of Scripture. But Gregory takes us beyond the literal into the mystical world of allegory. Moses’ life is an allegory for our own spiritual world. As the Israelites were saved by crossing the Red Sea, we are saved in the waters of baptism. As Moses ascended the mountain of God into the cloud of unknowing (to borrow the title of a piece of Middle English mysticism), so too is the Christian called to ascend the mountain of God and find God in His incomprehensibility through mystical contemplation. That’s probably more than enough to make most people uneasy about Patristic exegesis. What has Moses ascending Mt. Sinai to do with me, alone, in a dark room engaged in the ‘useless’ pursuit of omphaloskepsis (‘navel-gazing’, used as a perjorative in the Byzantine Hesychastic Controversy)? We, as Protestants, shy away from this sort of allegorical, mystical reading, fearing that it will turn the Scriptures into a wax nose that can be twisted in any direction. When I read The Life of Moses, I found it invigorating, in fact. 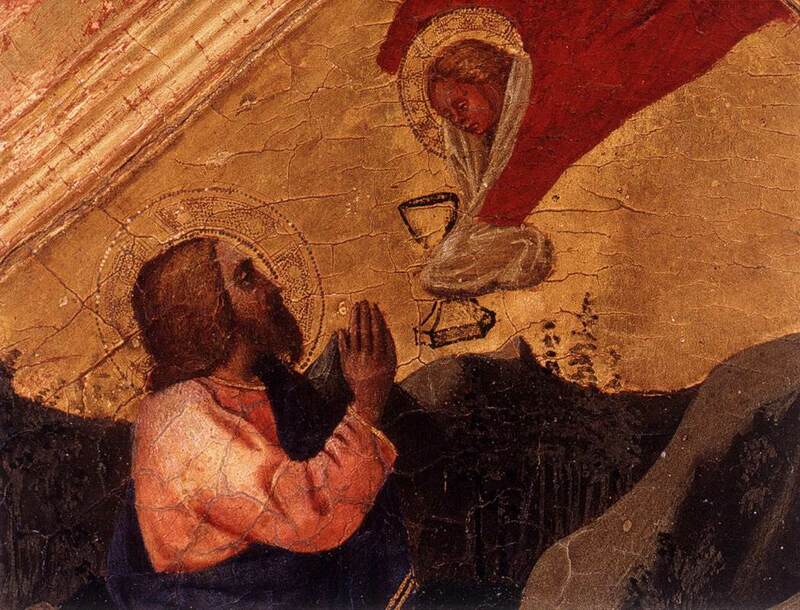 Who knows if St. Gregory’s mystical allegory is true or ‘right’? What I know is that it contained truth and rightness. I mean to say that it found in all of Scripture a spiritual sense and sought to encourage Christians through the use of Scripture for understanding their special call as followers of Jesus. St. Gregory sees the events of the history of the people of Israel as more than simply the account of God’s dealing with the human race — he sees in them a vision of God’s dealings with each, individual human. God can save you and me, and draw us to Him, if we have the eyes to see and a deep faith rooted in Him and His word. You may not like allegory. You may think it dangerous. You may confuse it with typology (if that’s the case, read my post about the usefulness of typology in Scripture-reading, as well as on the fourfold sense of Scripture). Nonetheless, I hope that encountering uncomfortable writings such as St. Gregory of Nyssa will jar you into trying to see that there is spiritual benefit in all of Scripture, that the Scriptures are not a self-help book, that the Scriptures are not there as a perfect roadmap to life, but, most importantly, that the Scriptures exist primarily as the revelation of God and as a means for us to be drawn into him. This leaves us even with a place for the mind-bending typologies of St. Ephraim the Syrian (see this hymn on the Incarnation of his), well worth a read. And then, perhaps we can shed any vestiges that we have the perfect, historically accurate, airtight, ‘useful’ interpretation of Scripture and allow our souls to breathe. Hall, Christopher A. Reading Scripture with the Church Fathers. IVP. 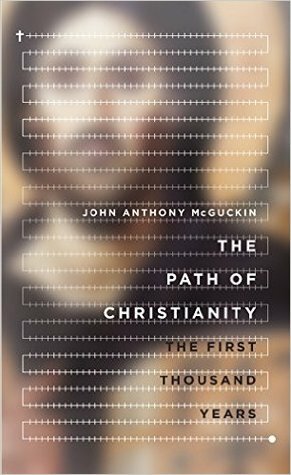 This book was my introduction to Patristic ways of reading the Bible. Worth a read. Oden, Thomas, General Editor. The Ancient Christian Commentary on Scripture. IVP. 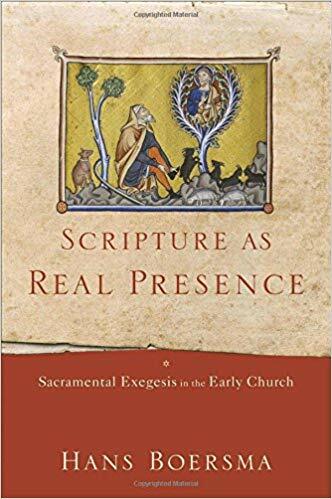 Hall’s book is meant to be an accompaniment to this 26-volume commentary on the whole of Scripture, including the Deuterocanonical Books, giving brief selections from the Patristic witness ranging from Origen and Athanasius to Cassian and Augustine. A fantastic resource. *For a good article about Chrysostom and the Antiochene understanding and use of theoria in interpreting Scripture, see Bradley Nassif, “Antiochene theoria [actually in Greek] in John Chrysostom’s Exegesis,” in Ancient & Postmodern Christianity, ed. Kenneth Tanner and Christopher A. Hall. IVP.